Product prices and availability are accurate as of 2019-04-14 03:54:34 BST and are subject to change. Any price and availability information displayed on http://www.amazon.co.uk/ at the time of purchase will apply to the purchase of this product. Light and delicate with a warming honey finish. Aged in ex-Bourbon casks for 10 years. Some say it tastes of oak with hints of honey, caramel and soft liquorice, but then again everyone is different. What do you taste? 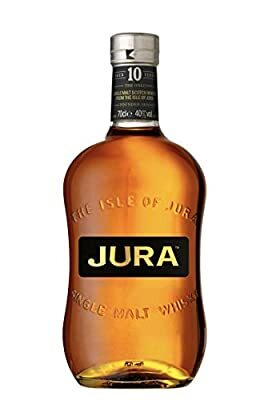 20cl Glass Bottle ABV: 40% Scotch Malt Whisky from the Island Regions of Scotland Savour it neat, on ice, with a mixer or in a cocktail. It is an offence for any person under 18 years to buy or attempt to buy alcohol. Please drink responsibly.